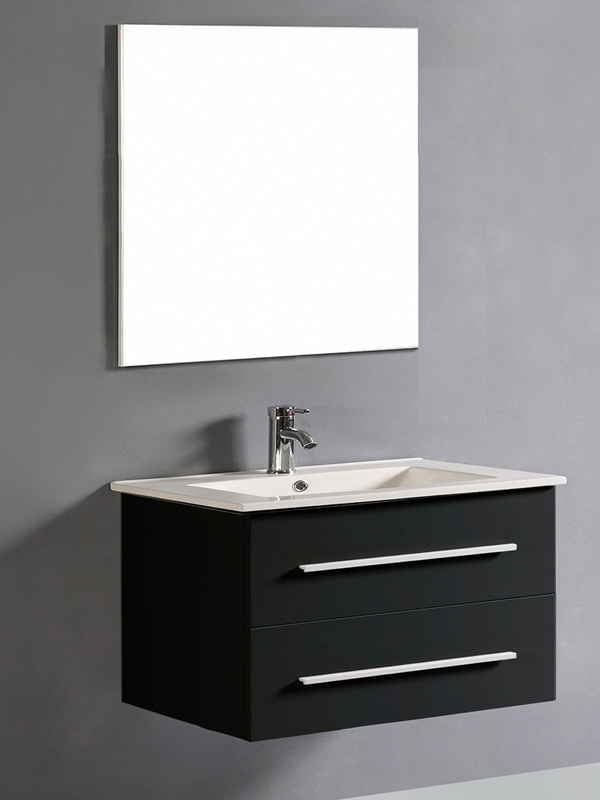 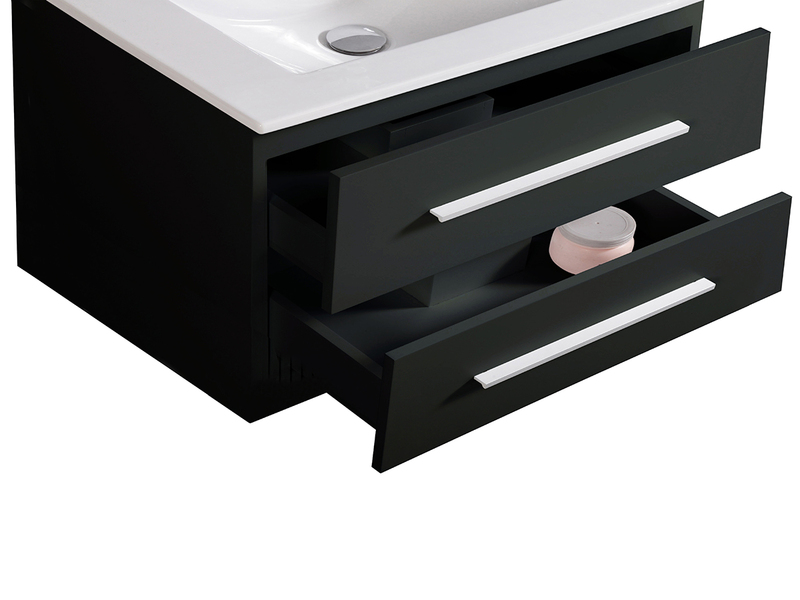 Simplicity meets style perfection with this soft black 31.5� Brennan Single Bath Vanity. 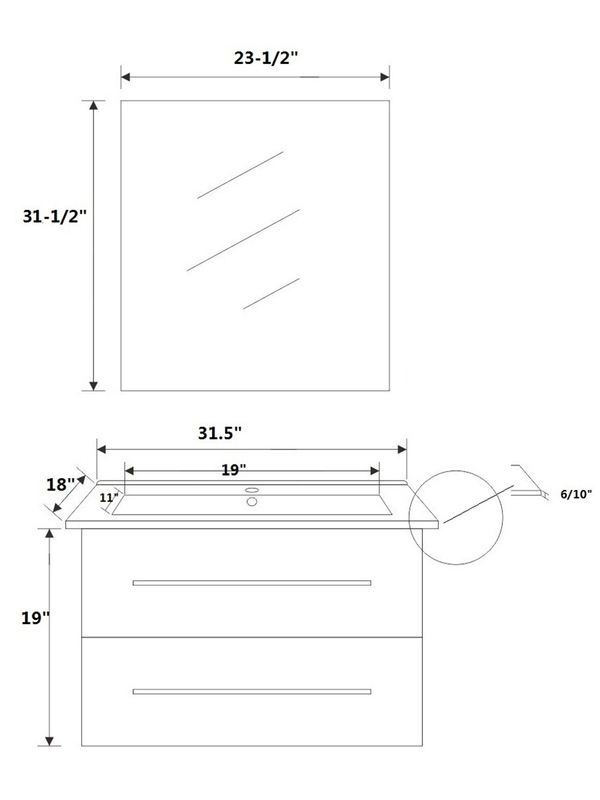 The two large drawers with soft closing hardwarde provide plenty of storage space. 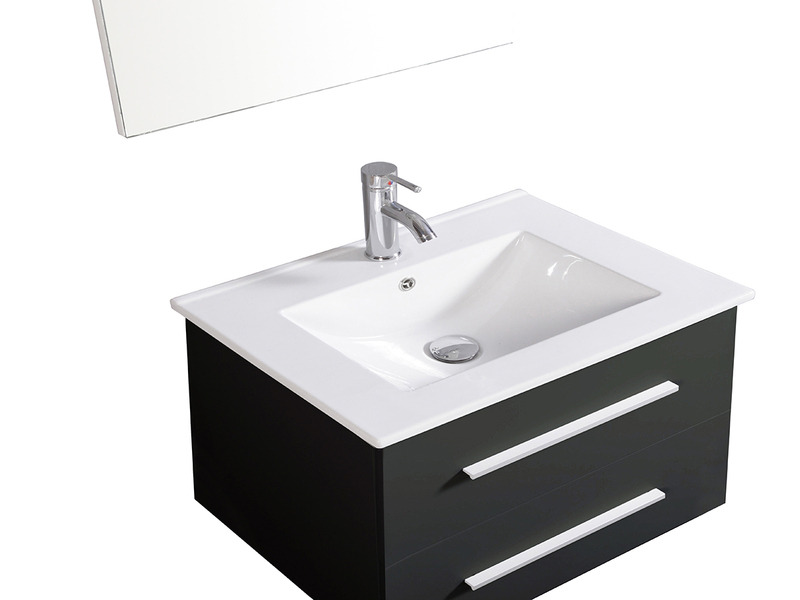 The rectangular, integrated ceramic countertop and sink have a modern touch with a slight overhanging edge. 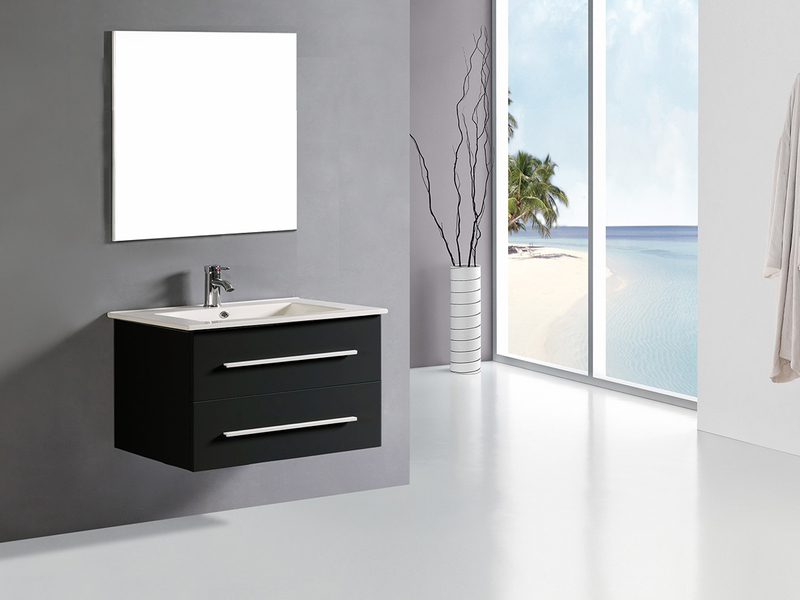 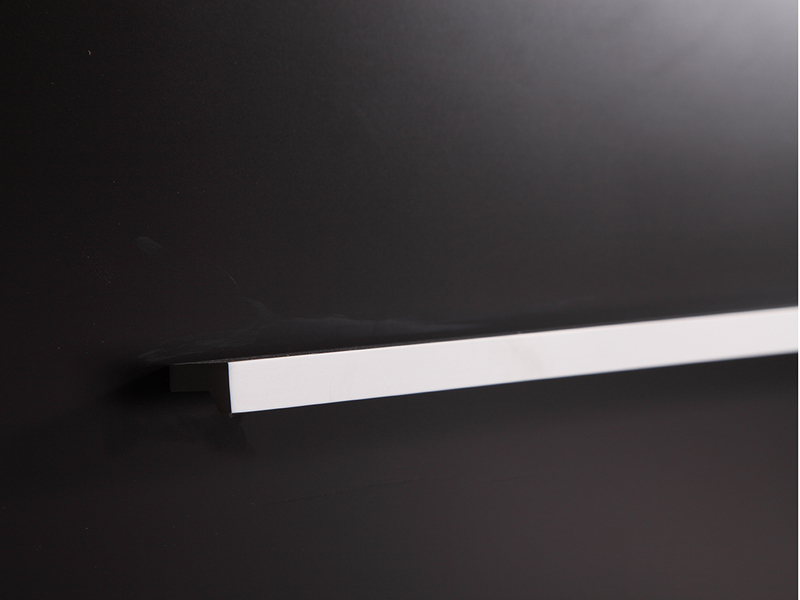 The frameless square mirror completes the look with a equally crisp style.